This feature will be updated throughout the week with links to other pieces in a special series that also includes: The VH Group in detail; Pune in pictures; Boomtown Pune; Words of chicken wisdom; DR BV Rao; Inside Venky’s XPRS; the family-sponsored temple. It was the question that infamously stumped Sven Goran Eriksson when he arrived as England manager all those years ago. But Anuradha Desai, the Indian businesswoman who heads the conglomerate behind the takeover of Blackburn Rovers, answers it effortlessly. ‘Gael Givet,’ she says, when asked if she can identify the Blackburn left-back. Just for good measure, she throws in the name of their centre-half – the much-coveted Chris Samba – as well, adding that he is a player she desperately wants Rovers to retain. The woman who heads the VH Group, the first Indian company to buy a Premier League football club, is not about to be caught out like that. Desai, chair of the family firm who own Rovers via a subsidiary, Venky’s London Ltd, displays a forensic knowledge of her latest acquisition. The details of pretty much every Blackburn footballer, the names of their agents, their contract lengths and terms are at her fingertips. The Venky’s buy-out of Rovers – they paid the Jack Walker Trust £23m for the club, cleared £20m debts and invested £10m in short-term capital for an initial £53m investment – raised the hopes of Rovers fans that the good times are coming back to the old textile town. Blackburn were Premier League champions in 1995, thanks to Walker’s riches. Since those heady days, Rovers have never finished better than sixth and the title has been the preserve of just three clubs, Manchester United, Arsenal and Chelsea – all now under wealthy foreign control. Four years after winning the Premier League, Blackburn suffered the ignominy of relegation and spent two seasons in the Championship. Since returning to the top flight, they have been perennial also-rans. But all that could change, at least if the dreams of the club’s rich and ambitious new owners come to fruition. The VH Group are a poultry conglomerate owned by the Rao family and based in Pune, about 70 miles south-east of Mumbai. The Raos themselves expect success in the long term, whatever the sceptics say. ‘Our goals are simple,’ says Venkatesh Rao, 45, who co-owns the VH Group with brother Balaji, 38, and sister Anuradha. ‘We want to keep the fans happy and make the club better. 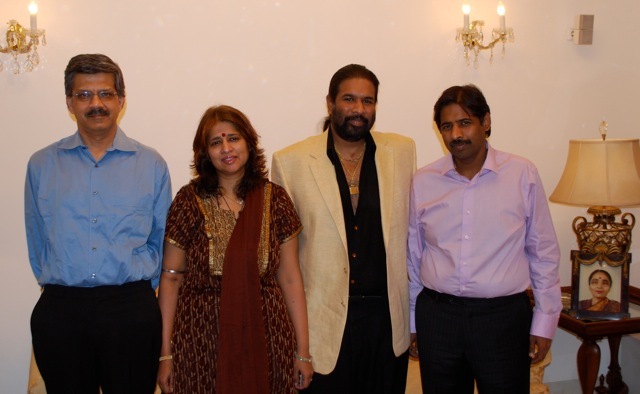 Pictured (right to left): Venkatesh ‘Venky’ Rao, his brother Balaji Rao, their sister Anuradha Desai, and her husband, Jitendra Desai. Describing Venky’s owners as chicken farmers is like saying Walker had a scrap metal yard. Walker, a steel magnate, was one of Britain’s richest 30 men when he died in 2000, with a fortune estimated at £600m. The Rao family are worth three times more and their business is riding the crest of the Indian economic boom. The VH Group consists of 28 companies in India with a collective turnover in 2010 of close to £1bn and group profits of about £100m. Growth is forecast at 15 per cent per year. There are no external partners and no debt. 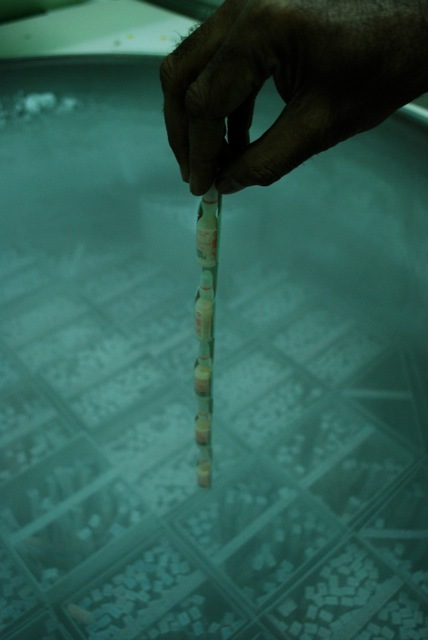 Acquisitions, including Blackburn Rovers and a new £130m vaccine plant in Switzerland, are made in cash. The company are not listed but could fetch about £1.5bn if sold, although that is not on the cards. With an extensive property portfolio, the family are probably worth £2bn, perhaps more. Demonstrably they have money to invest where they see fit. ‘Four-wheelers are my only extravagance,’ says Venkatesh, or Venky to friends, slightly abashed at his admission as we talk in the family’s marbled, high-security bungalow complex in the hills above Pune. There are five top-end cars in the courtyard outside. There are 69 others on the driveway and in the garage. Venky has ‘only’ 23 motors. Balaji, pony-tailed, open-shirted and adorned with golden jewellery and a holstered pistol – imported, licensed and loaded – boasts 51 vehicles, including a Rolls-Royce, a Bentley and a new customised £100,000 Hummer. The wealth comes from an empire founded in 1971 by the siblings’ late father, Dr BV Rao, a visionary vet and philanthropist who turned one hatchery into a business that now breeds chickens, sells vaccines, machinery, processed food, dietary supplements, fast food and much else, and is expanding rapidly, across Asia, Europe, South America and the Middle East. The family may be anonymous outside India but their profile at home is such that Belaji employs two bodyguards and Venky never travels with fewer than four. They employ 250,000 people directly and the same again in related businesses. They produce 90 per cent of the chickens raised in a country of 1.2billion people. Unusually for Indian billionaires, they have no affiliation to any one political group. The family have a film company, Bala Entertainments, run by Balaji, the ‘bling’ member of the family with Bollywood and Hollywood connections. Bala’s biggest hit to date was the commercial hit ‘Dus‘ (here at IMDB), starring Shilpa Shetty and the box office giant, Sanjay Dutt, a close friend of Balaji Rao. Balaji is a friend of friends of Ronaldinho, hence the personal approach, which ultimately failed, to sign the Brazil forward for Rovers. Balaji also knows the former world heavyweight boxing champion Lennox Lewis and the US-based multi-Grammy nominated rapper, Akon. Both men attended a recent opening of a new Venky’s XPRS fast food chicken shop. Forty new branches of the chain will open in India this year, and at least one some time soon at Rovers’ Ewood Park ground. So why did the family buy a football club? And why Blackburn? Mrs Desai takes up the story. They have come in for criticism since their takeover. The sacking of manager Sam Allardyce upset some in the game and the owners have been accused of being ignorant about football and naive in handing the managerial reins to rookie Steve Kean. Despite a busy schedule, he plans to travel to England at least once a month. Contrary to some perceptions, Venky’s have long had commercial links to sport. The firm sponsored regional cricket for decades and had a shirt deal with Trinidad & Tobago in cricket’s inaugural Champions League Twenty20 cricket in 2009. They have sponsored Russian tennis player Elena Dementieva and football friendlies featuring India, whose captain Baichung Bhutia, 34, played briefly for Bury a decade ago. The Australian fast bowler Brett Lee is a Venky’s brand ambassador. The Venky’s-Blackburn story is also a global economics story, a symbol of an emerging, expanding financial power and of the Premier League’s attraction as a place for investment. Yet in one sense, the Raos are almost a throwback to an era where family firms ran England’s clubs. Except that this family firm are based close to 5,000 miles away. That said, in colonial times, Pune was known as ‘the Oxford of the East’ – because of the number and quality of its colleges – and it retains the nickname and the universities. Locals insist it is a laid-back place where the working day typically starts at 10am and includes a three-hour siesta. To outsiders, it’s as sleepy as a riot. Pune (snapshots here) is a sprawl of 3.5million people, chaotic traffic, tooting mopeds carrying husbands and side-saddle wives, building sites making homes for a surging middle class, billboards selling these dream apartments, mobile phone stores and malls. Slums, street markets and the desperately poor co-exist but India is changing daily. Pune reflects a nation’s growth, and the Raos are new Indians, looking outwards, going global, proud of their hard-earned cash and the chances it gives them. Their philanthropy includes free hospitals, schools and daily food handouts for Pune’s poor. The family have also built a temple, the heart of a charitable trust. The relevance of the Venky’s vitamin plant in the hills, which sells £10m worth of products a year, or the two vaccine units turning over £21m between them, or 159 other major sites across the country each booming and surrounded by prime land, is that chicken feed could be anything but chicken feed to Rovers. Venky Rao defend’s his sister’s positive stance. ‘You have to be allowed to think freely and act freely in this world,’ he says. ‘We will try to become one of the best clubs. That doesn’t mean we promise to finish top four but why would we set an aim to finish 15th to 20th? That only demoralises yourself. We should think big, aim high. A version of this feature first appeared HERE. Nick Harris, editor of sportingintelligence, is also the chief sports news correspondent of the Mail on Sunday.